ELLEN ARTHUR PHOTOGRAPHY: SYDNEY PHOTOGRAPHER: ROADTRIP!! Yesterday Regan and I decided to get out of the house with bubs. The idea started from going to the botanical gardens in Mt Annan which is a 10 minute drive away, to Wollongong, to Gerringong and then to Nowra which is almost 2 hours each way. We decided to do some exploring and have a road trip. We started at Gerringong where we had lunch beside a real character. He spoke to us most of the time we were at the bakery and he spoke all about his nose and mouth cancer and his life. I wanted to take a real close -up of him but I was afraid that he might say no to being so close. I'm kicking myself right now! 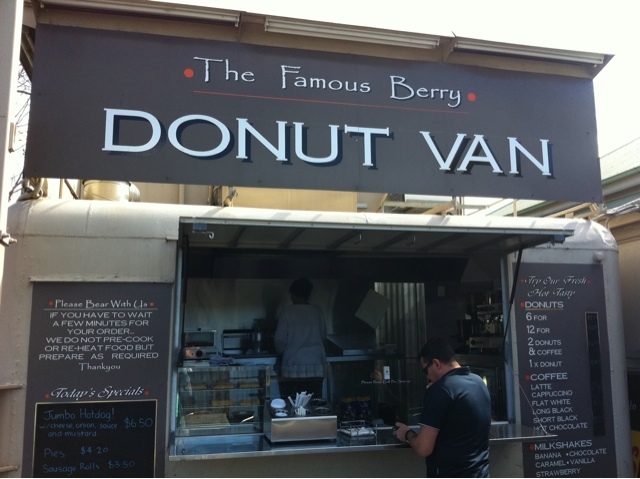 We then got on the road to Berry where we visited the Famous Berry Donut Van. Pretty much amaaaazing and Noah went ballistic when I said "all gone" ... oh no! Thanks for the hospitality Stace and Jez! Some beautiful shots there. What a great idea. I want to go on a road trip too! Manual is rocking my world! !